Very Good. 0767924908 ALL BOOKS SHIPPED WITHIN 1 DAY OF PURCHASE! Very Good. The Freedom Writers Diary: How a Teacher and 150 Teens Used Writing to Change Themselves and the World Around Them by Gruwell, Erin, 2007-02-22. Trade paperback (US). Glued binding. Contains: Illustrations. Good. 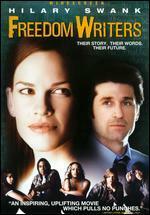 The Freedom Writers Diary: How a Teacher and 150 Teens Used Writing to Change Themselves and the World Around Them by Gruwell, Erin, 2007-02-22. Trade paperback (US). Glued binding. Contains: Illustrations.